It's that time again, dear readers, for the North American Nintendo Download Update details. A couple of titles arrived after the Nintendo Direct on 12th April, and in addition to those there are some other gems on the list. The Nintendo Switch gets three enticing releases along with a demo, while the 3DS and Wii U have varied releases to consider - let's get to it, shall we? 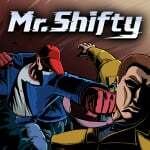 Mr. Shifty (tinyBuild Games, $14.99) - An intense top-down action game, with the HD Rumble designed to allow you to "feel every punch, shot and crash". The character can shift through space, as the name suggests, and it looks rather fun; we're shifting through a review right now to let you know what we think of it. The Jackbox Party Pack 3 (Jackbox Games, $24.99) - This could be a popular one, as this is a game that brings together five quirky and distinctly grown up party games, supporting up to eight players in various ways. We'll gather some of our favourite people and bring you a review. 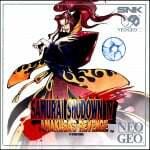 Samurai Shodown IV (HAMSTER, $7.99) - Another fighting game from the Neo Geo, though for some in our team this is right up there among their favourites in the genre; for some reason North America starts with number 4. It certainly looks like it puts up a good fight, and as always there'll be various customisation options and goodies in this 'ACA' release. 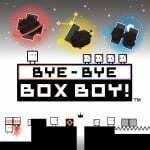 BYE-BYE BOXBOY! (Nintendo, $4.99) - This third entry in the rather enjoyable HAL series finally lands in America; there are some new puzzle twists, a lot of levels and unlockables and support for Kirby-series amiibo. We'll box up our thoughts in a review. Ascent of Kings (Nostatic Software, $1.99) - This one is a platforming adventure in which a young brother sets off on an adventure to become a King; with exploration and discovery there are ability boosts to be found, too. Previously released on Wii U, so you can check out our Ascent of Kings review for that version. Pic-a-Pix Color (Lightwood Games, $5) - The portable iteration of this rather promising puzzle game, also on Wii U (below). Bingo Collection (Starsign, $2.99) - Have you ever been out and about with your 3DS and thought "gosh, I'd love to play some bingo right now". No? Just us? Oh well, in any case this is a collection of three minigames based on bingo, from catching balls of the right number to stamping a card as quickly as possible. Scoop'n Birds (Twin Sky Games, $7.99) - A game with a rather quirky premise of literally scooping up birds that appear on screen, with various power-ups and requirements across its various stages. It looks a bit bonkers, frankly, but that may be a good thing. FIFTEEN (RCMADIAX, $1.49) - This recreates sliding tile puzzles, but in this case you're trying to arrange numbers into the right order. Pic-a-Pix Color (Lightwood Games, $5) - This offers a different spin on Picross-style puzzle solving, whereas you fill in colours and spaces aren't mandatory. The Wii U version supports larger puzzles that can be bought as inexpensive add-ons; DLC is also available day one. Only demos for me today. SamSho IV, unless the "News" section of the Switch is lying. Mr. Shifty may be worth a $15 investment. Despite what has been said about the Switch's lack of major, AAA release games I've developed a nice little library in the console's first 6 weeks. Sam Show 4 was awesome so when my Zelda fest is over I will probably get that. I also think Mr. Shifty looks like a fun game though I will wait for a few reviews to pop up. I want the Jackbox Party Pack 3, but I can get it for $12.50 for both my Xbox Ones or $24.99 for only one of my Switches. I just so happen to be getting a bunch of friends and family over for Easter, so Jackbox couldn't have come at a better time! Other than that, mama say mama saw Amakusa's Revenge for me! Might get Mr.Shifty since I really want something other to play than Zelda on my shiny new toy. Can any say if it's worth getting? *Has-Been Heroes<--fav game on HW, Zelda notwithstanding. I'll pick up Mr.Shifty and maybe SSIV today--good times! 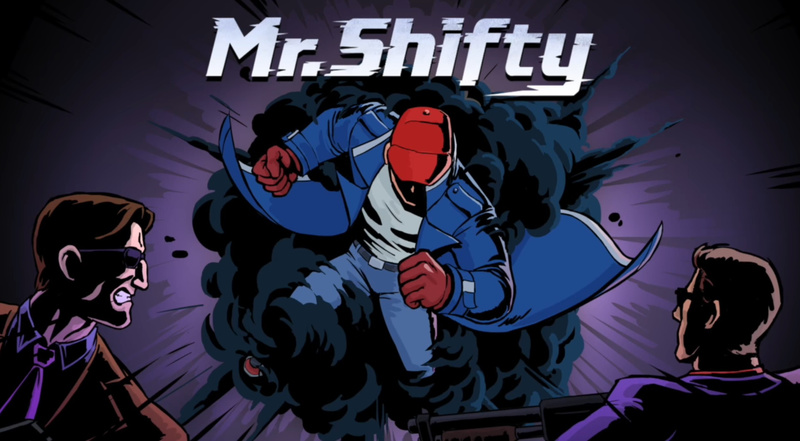 Also looking forward to mr shifty. Reminds me of hotline miami 2 which was cool and had a great soundtrack. Even if the game should not be so great i hope at least the soundtrack will be. @ECMIM Cool. I may get Metal Slug but I'm in no hurry. Glad you like HBH, from the reviews and let's plays it doesn't look like it's one for me. btw/ whats "HW"? Mr Shifty says it IS releasing today, but it is not available on either the European or North American E-shop. And it has updatesd as Jackpot Party IS available. Guessing they got the date wrong. Demo of Puyo Puyo Tetris. I've heard good things, now it's time to try it out for myself. @JHDK and just imagine once its 6 months old? By holidays this year we will have MARIO and skyrim most likely as well as countless indies and kart, splat, arms. I didn't even have uncharted 4 on PS4 at 6 months old. After watching a trailer for mr shifty, I'm getting it. @akaDv8R as a rule, the US eShop doesn't update until noon EST, so "Jack" is an aberration. Edit: weird, on my end, "Jack" is still situated in the "Coming Soon" section. @ECMIM European E-shop ALWAYS updates by 2:30pm at the latest. As I said, they are listing Jack Box Party, and in the Coming Soon section, it says, "Mr Shifty 13/4/2014"... today!!!!! BTW: For anyone who is interested, the FAST RMX update is coming on the 19th of this Month. I got Bye Bye BoxBoy, Team Kirby Clash, and the PuyoPuyo Tetris demo. They're all really fun, especially BoxBoy. Team Kirby Clash's free-to-play kinda seems out of place, but it's still an enjoyable game. @Grawlog But those keychains, man! Seriously, though, I did ask my wife if she was interested in the Puyo Puyo Tetris keychains and she immediately answered "yes", so physical it is... $10 keychains, but also when we get another Switch one day, we can swap the cart maybe saving money down the line? Anyway, it was a must purchase for her and my daughter especially so I'd probably have paid $60. My son was playing the BoxBoy demo and really wanted the full game(s)... his birthday is coming up so... well, I just have to time it right. So, not this week. 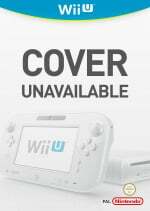 Dang, no Wii U virtual console. I was hoping for more Konami N64 gems. I really don't like ACA re-releases of fighting games. They have no practice/training mode and no online. In short, they kinda blow. The tetris puyo demo somehow does not have HD rumble - delete instantly and re-downloading the JP version..
Jackbox Party 3 will be great for when we have company over. It's an awesome party game. Bought. I've seen some reviews for Mr. Shifty. A couple 'recommended,' a 7.5, a 6 and a 5 I believe were the other ones. It's a bit of a mixed bag it seems but from the videos I've seen posted by youtubers I follow it does look like a lot of fun so I'm going to buy it. Aside from inFamous: Second Son, Assassin's Creed IV: Black Flag and a few remasters, the PS4 was complete trash its first six months, and I'm somebody who could be considered more of a PlayStation fan than anything else, but the truth is the truth and I was the most hated person at PushSquare in 2014 because I let it be known what a pathetic start Sony got off to. With LoZ: Breath of the Wild alone, the Switch will be off to a better first six months than PS4. But yeah add in Mario Kart 8, Splatoon 2 and possibly ARMS (if it ends up being good) and that's a much better first six months than I had with the PS4. That's not even including indies like Blaster Master Zero, Fast RMX or the awesome-looking Shakedown Hawaii. I'm looking forward to some fun weekends with it! Can't find the EU update...? Is there one? @Ryu_Niiyama Don't you mean you gotta get Shiftyyyy. You gotta get Shiftyyy in heere! Going to try the Puyo Puyo demo. My wife's favorite video game is Dr. Mario and we play the SNES Tetris/Dr.Mario mix quite a bit. Is this game similar to that? I guess is Puyo Puyo like Dr. Mario? @JHDK How's Blaster Master Zero? I've been considering it. Nabbed the PPT demo, although I don't like how it doesn't have multiple rounds like in the Japanese demo. Also, the A.I. feels easier, for some reason. I'll probably get Mr. Shifty if it reviews well. Maybe the free Kirby game... nothing else for me. @Fred13 It took me a few weeks to get into it. But once I put some real time into it I've had nothing but fun playing. It's not a very difficult game but the exploration is a delight. So far I have played most games on the TV but with this I found that I like it more in handheld mode. The retro style just seems to fit best that way. For $10 it's well worth the price and I would definitely recommend picking it up. I'm downloading Mr. Shifty right now. I'm really looking forward for something else to play on the Switch other than Zelda and Shovel Knight. @Fred13 Not sure about how good it is. I've only played single player. I could be wrong but I think I saw a video where multiplayer is just P2 with the ability to shoot stuff on the screen while P1 does everything the same as if playing single player. It should be easy for you to find out about on youtube. Puyo Puyo Tetris demo made me buy the game. Just like with Snipperclips. See Nintendo? Demos help sell games, really hope there is one for ARMS. The Wii U is so mistreated. Where are the Commodore 64, Arcade, and Genesis games the Wii had? @NTELLIGENTMAN Ask whoever owns the licenses to games on those specific platforms. Putting Puyo Puyo Tetris on 3ds would make me buy it. But since it's on the glitchy switch, there will be no money made from me yet again this week, Nintendo. No way I'm gonna get Samurai Shodown 4. Samurai Shodown 2 was very good but 4 wasn't that good, a big step back. Bigger characters and great animations can't make a game beautiful to play. I'll wait for Samurai Shodown 2 and purchase that one. Mr Shifty looked good but reviews are killing it. I think I will pass on it too. @BezBot You're in the minority. Demos, more often than not, hurt game sales. @Agent721 With Puyo Puyo Tetris, you can pick between the two gameplay styles and face off against an opponent that may use a different game style than you. 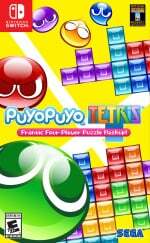 As in Tetris players can compete directly against Puyo Puyo players. There's also a mode that has them alternate back and forth. You forgot to mention that BOXBOY! Trilogy demo that came with BYE-BYE BOXBOY! Mr shifty is very fun. Short and sweet arcade style game. Worth the purchase for me. Dont listen to the reviews if you thought you wanted this game. @Tetsuro I was all ready to add funds to my Japanese account for SamSho IV, because it was available by the end of the Direct. Then I thought, "just wait for tomorrow, remember how you didn't like it back then?" Yup, it's just as funky as ever. The AI doesn't even feel like it has a flow or pattern. It feels like it's just throwing out moves based on what you're doing and being cheap with the reaction times and blocking. At least in SamSho 2, the AI was tough but fair. Can't wait for that to come out. I kinda like 3 better than 4, too. Oh, and don't get me started on the prefab combos. Sure you have to wait until the rage goes up to use it, but it just being there irks me (same thing with KoF XIV). Here's an interesting article published recently from Polygon which was an interview with members of Samurai Team Lots of great insights, there. @masterLEON Nice find, thanks. I completely missed that interview. AI it's tougher in Samurai Shodown 2, but it can tweaked. At level 3 it's already easier, at level 2 it should be easy enough for everyone. Samurai Shodown started to becoming less good after Samurai Shodown 2, that's the pinnacle of the serie. It was fast, it had splendid illustrations, nice characters and backgrounds, very good collisions and defence system. There were just less special moves and less easy to perform like a classic SNK fighting game. Samurai Shodown 2 is one of the best fighting games ever, period. 4 unfortunately is not. I still haven't purchased any Neo-Geo title, though King of Fighter '94 is good (but then I'm waiting for '96 that I consider the pinnacle of the serie). 3 was similar to 4, gameplay already slowed down, a dark setting was introduced. I would not buy even that. Unengaging in my opinion. 1 was good, 2 better. 3 and 4 forgettable. i'm still a bit salty that 'bayonetta for switch' isn't one of the choices. @ECMIM I've been on the fence about Has Been Heroes...heard some pretty rough stuff about control issues. Is it worth it? I enjoyed the demo of Puyo Puyo Tetris and have the physical copy preordered. Keep in mind that the physical run will be limited, plus it comes with sweet keychains.